Roland F. Kirks was a former member of the D.C. Board of Education, 1953 to 1962. he died at Walter Reed Hospital of cancer. He retired after 35 years of military service. Born in Washington and graduated from Virginia Military Institute. Received a bachelor's and master's degrees in law from the National University.He was assistant professor of law there while earing a doctorate of judicial science. A cavalry officer, called to active duty in WWII, and was sent to Europe as the 9 th Army's chief of combat intelligence. He also was chief of foreign trade at headquarters of the United States Groupe Control for Germany. After the war he returned to National University as a professor of law. He became dean of the law school in 1949 and president of the university in 1953,left the University in 1954 to become legislative counsel for the National Automobile Dealers Association. He left that organization in 1960,and for the next ten tears was general counsel and director of government relations of the American Texile manufacturers Institute. Rowland Falconer Kirks was born 15 November 1914 and died on 2 November 1977. At the time of his death he was the Director of the Administrative Office of United States Courts. In the military, he was the first commander of the 97th Army Reserve Command. In 1970, the Supreme Court selected Rowland F. Kirks to be the fourth Director of the AO. Kirks changed the alignment of divisions in the Administrative Office (of the United States Courts) to offer better service to the courts and to the Conference, added new divisions, and continued the close relationship with the FJC (Federal Judicial Cetner) that Friesen had established. After more than seven years in office, Director Kirks became ill and died. 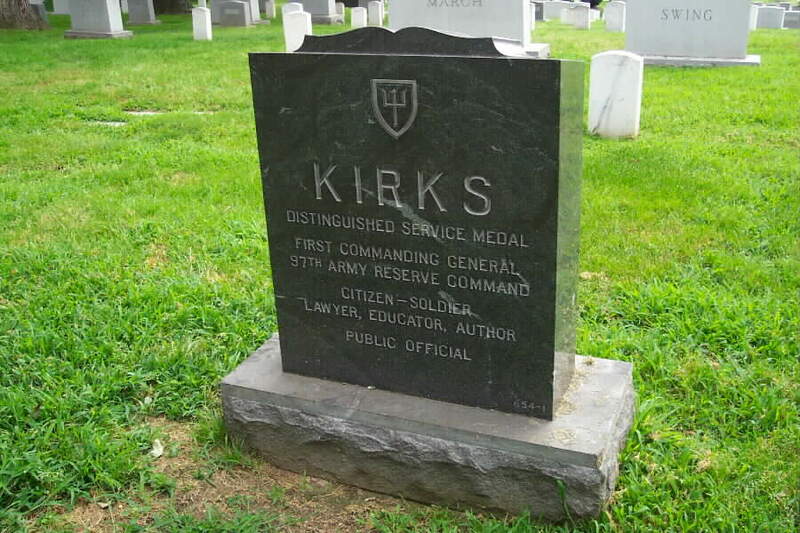 We are seeking additional information regarding General Kirks. Should you possess such information, kindly contact the Webmaster. 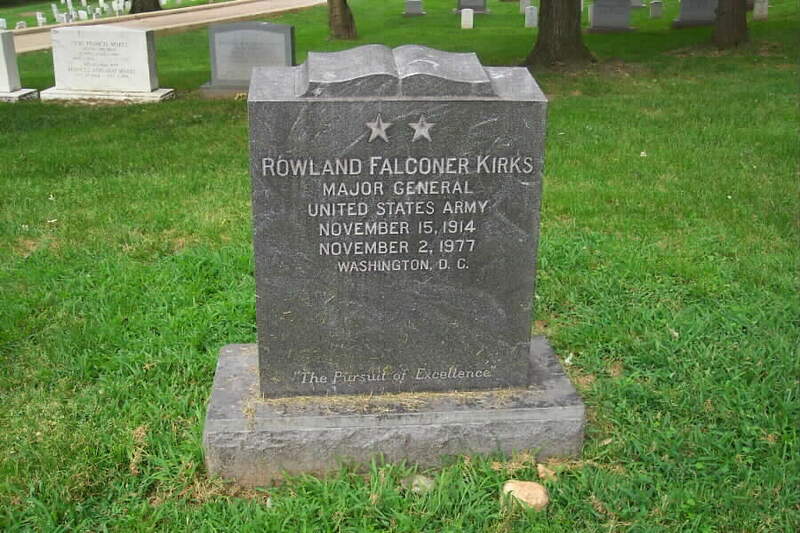 WASHINGTON, November 2, 1977 – Rowland F. Kirks, director of the Administrative Office of the United States Courts, died this morning in Walter Reed Hospital. He was 62 years old and had been ill for a long time. Mr. Kirks served at various times as Army intelligence officer, a lawyer, a law school dean and university president, an assistant Attorney General and a legislative representative for the National Automotive Dealers Association and the American Textile Manufacturers Institute. Survivors include his wife, the former Virginia Louise Potter, whom he married in 1940; a daughter, Virginia; a son, Rowland 2nd and his mother, Mrs. Ellis F. Kirks.